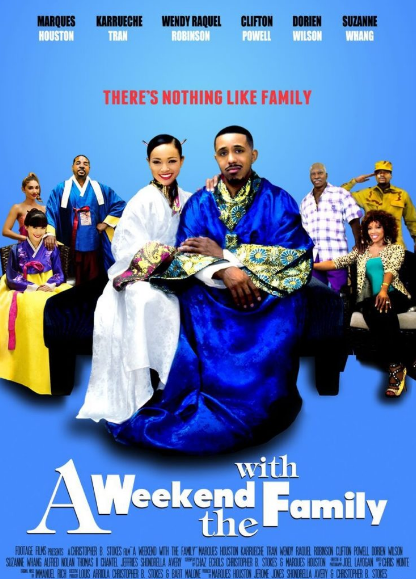 Cast: Marques Houston (Travis Stankershet), Karrueche Tran (Courtney Clancy), Wendy Raquel Robinson (Nip Stankershet), Clifton Powell (Dingo Stankershet), Dorien Wilson (John Clancy), Suzanne Whang (Sue Clancy), Black Thomas (Sargent Stankershet), Chantel Jeffries (Catherine Clancy), Shondrella Avery (Rosie). Story: Film follows Travis Stankershet (Marques Houston) a young attorney who looks to gain a position at a prestigious law firm. Travis’ loving girlfriend Courtney Clancy (Karrueche Tran) decides to arrange a surprise family weekend get-together, however things don’t go as planned with the arrival of his outlandish family, the Stankershets. When Far East customs come up against the salt of the earth folks from the Deep South, hilarity ensues. In the end, Travis must find a way to make the two families peacefully co-exist long enough for him to propose to the woman he loves. Source: Shadow and Act. 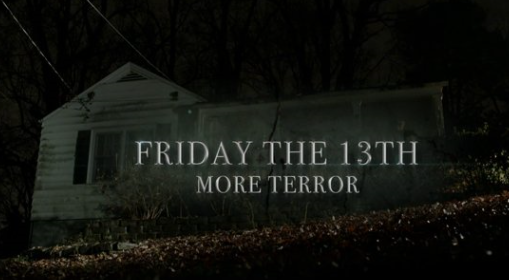 Details: Robin Givens, Columbus Short and Lynn Whitfield headline TV One’s next installment of its horror anthology, “Fear Files” (formerly “Fright Night Files”) with 3 new terrifying tales of love, revenge and murder, on Friday, March 13 at 8PM/ET. According to Shadow & Act, Radio One Founder and Chairperson, Cathy Hughes said, “Buoyed by the positive viewer and social media response to the inaugural airing, we are pleased to be able to deliver another installment of this compelling and entertaining series. Delving deeper into the horror genre helps fulfill TV One’s mission of super-serving the Black audience with a wide variety of programming genres reflecting the diversity of content Black viewers want to see. 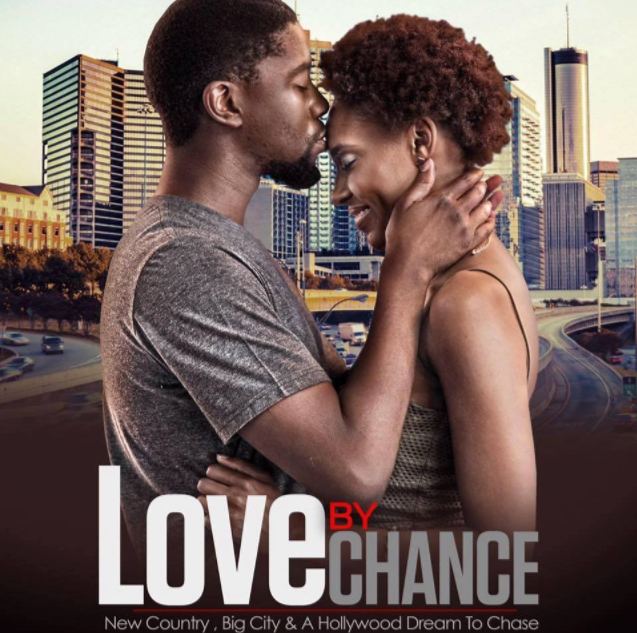 Starring Nadine Ellis, Sean Blakemore, Eva Marcille and Lynn Whitfield. Lockwood Masters (Blakemore) is back and has another victim in his sights, the beautiful Bianca Wayne (Ellis). After a love potion overdose from Madam Mabry (Whitfield), Lockwood cannot help but devour the women he falls in love with. When Lockwood’s first wife and victim Marla Peters (Marcille) makes a ghostly appearance, Lockwood is trapped between delusions and reality. Meanwhile, Bianca is battling her heart’s desire to fall for this charming man and, much like Marla, she too questions how far she’d go for the love of Lockwood. Starring Robin Givens, Clifton Powell, Mishon Ratliff and Malachi Malik. Elaine Channing (Givens) is a loving mother with a terrifying secret. All of the men she becomes involved with are met with a tragic end. Desperately, she fears her son is murdering her lovers. In a bizarre twist, Elaine must decide how far she will go to protect her son. Starring Columbus Short, Mel Jackson and Erica Hubbard. When City Councilman Harvey Jordan (Short) unveils a plan to build a football stadium in a low income neighborhood, friction erupts within the community. After a lethal fire removes the last resident blocking his project, many begin to question if this death was in fact an accident, or has the Councilman’s ambition led to murder. The truth begins to haunt him as a determined reporter, Kelisia Waters (Hubbard) will stop at nothing to get answers she desires. Sources: Shadow & Act, EurWeb.